Intended for use during the Lenten Season, this is the third of the four Marian antiphons I set for SSAATTBB choir. The traditional chant melody is cast in a modern tonal language. A piano reduction of the SSAATTBB piece provided in the score for rehearsals. The audio below was generated by the Finale music notation program. 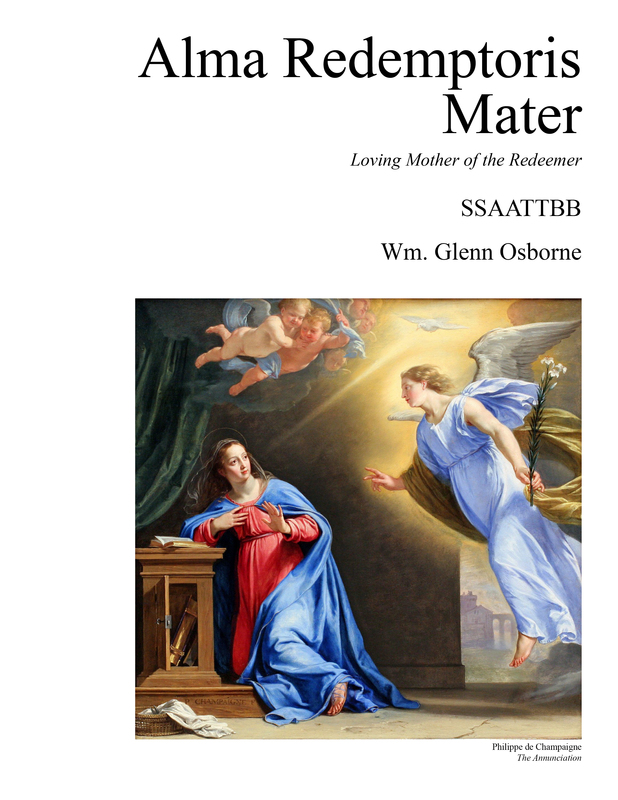 Intended for use during the season of Advent, this is the fourth Marian antiphon I set for SSAATTBB choir. The traditional chant melody is cast in a modern tonal language. A piano reduction of the SSAATTBB piece provided in the score for rehearsals. The audio below was generated by the Finale music notation program. 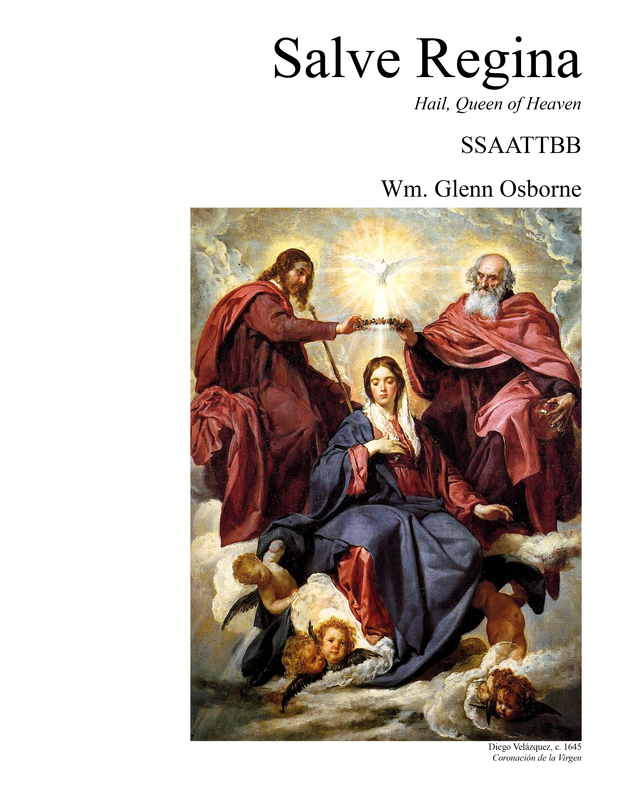 Written for Bill Picher and the professional choir of the Basilica of the National Shrine of Mary, Queen of the Universe in Orlando, FL, this setting of Salve Regina presents the traditional chant melody in a modern tonal language. 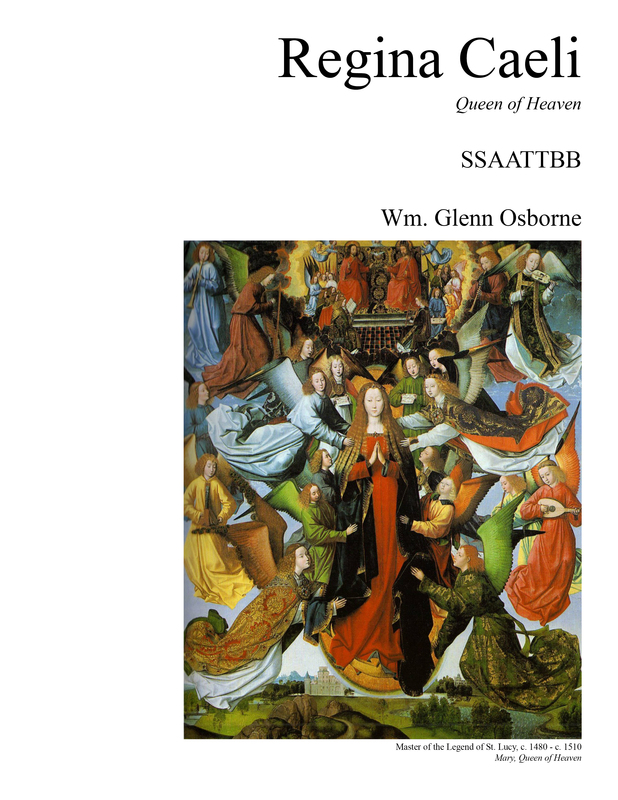 While intended to be performed a cappella, there is a reduction of the SSAATTBB piece provided in the score for rehearsals. 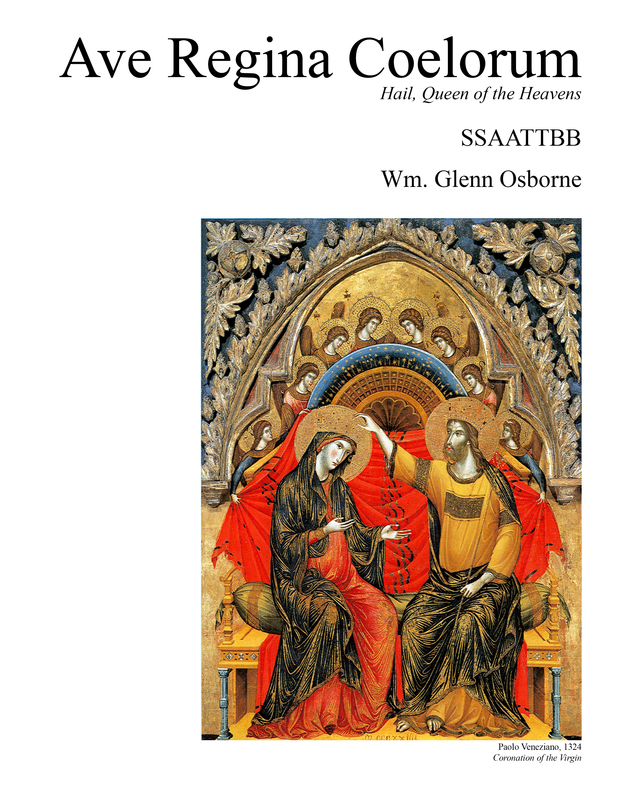 As the most popular and well-known Marian antiphon, this is the first of a set of four Marian antiphons that I composed. 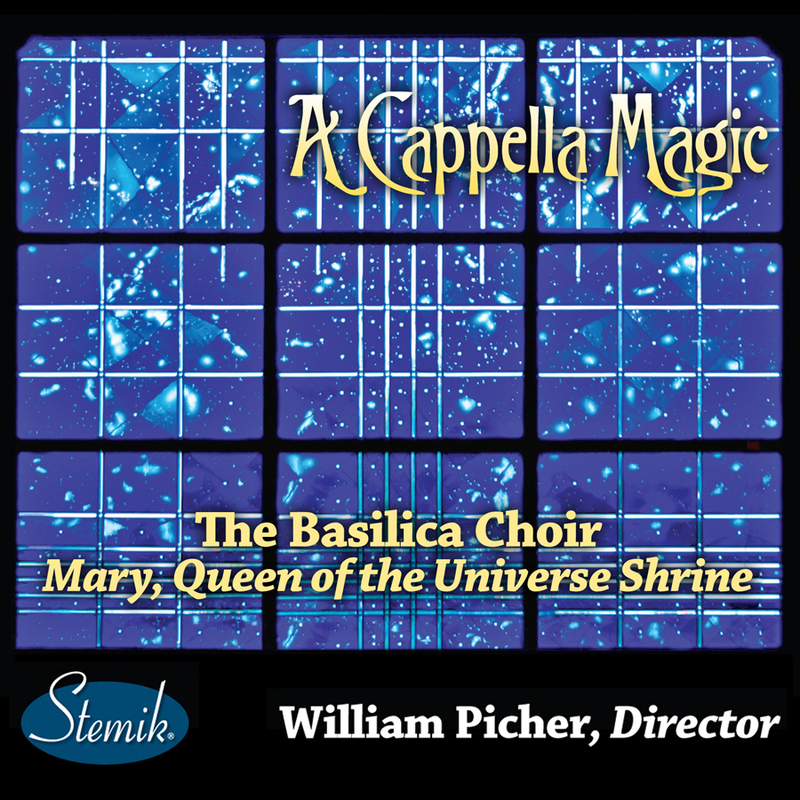 The Basilica Choir included the piece on its most recent album “A Cappella Magic” which is available here or as a download from iTunes! You can now also hear the piece on Spotify.